One of the most important factors controlling whether your Google Shopping ads will be shown is the relevance of the product titles compared to what people are searching for. Google rewards you for having matching keywords at the start of your product titles by making it more likely that those ads will be shown through increase quality score. Consider the following search for an ‘rc wifi drone’. The screenshot below shows that the first 5 results all have the searched keyword ' rc' at the start of their respective titles and the remaining keywords, 'WiFi' and 'drone' somewhere else towards the beginning of the product title. By having these keywords appear towards the start of the product title, Google considers these Ads to have a higher relevance for the person searching and subsequently the best chance of converting into a sale! If the product titles on your website are not optimised for Google Shopping, you can use the advertising feed configuration in Ad Builder to ensure your product titles include the most relevant information at the start of them. Ad Builder allows you to do this by prefixing other product data such as brand, size, colour, model and product type to the start of your products titles. 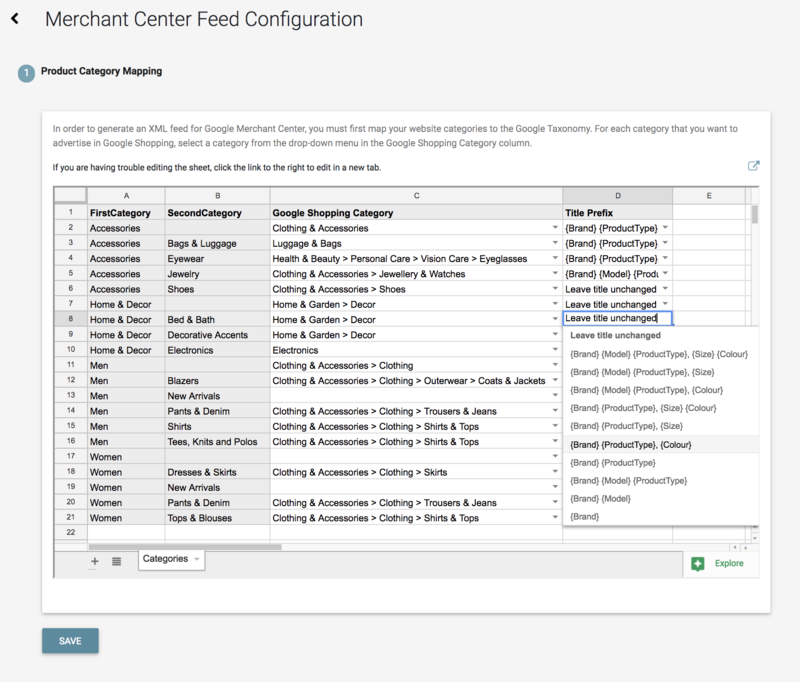 To select what data you wish to prefix to your product titles, navigate to your Google Merchant Center feed card on the website overview screen and click the configure advertising feed icon (as highlighted in the screenshot below). In your Product Category Mapping settings, for each category that you want to supplement product titles, select an entry from the Title Prefix column that will provide the optimal title prefix for products within that category. The screenshot below offers an example of the types of title prefix options available. Note: The list of available prefix options will change depending on the types of data available in your inventory. Once you have saved, the next time your Merchant Center feed generates, your product titles will include your chosen title prefixes. 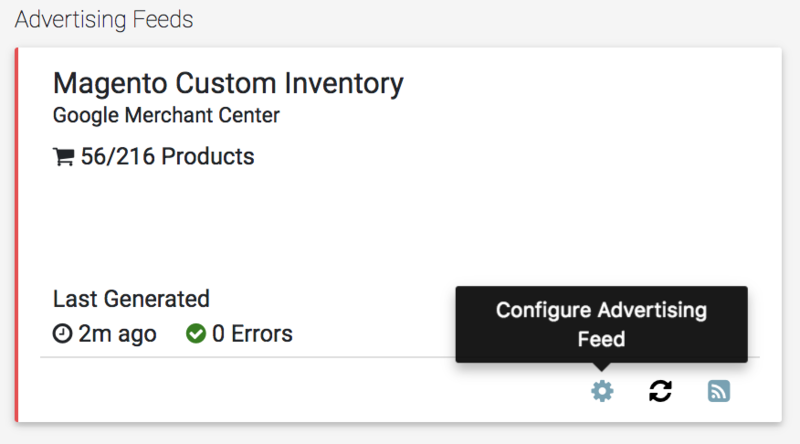 You can verify your product titles by viewing your xml feed using the feed URL icon on your Google Merchant Center Feed card on the website overview screen.